Gujarat High Court Recruitment 2019: High Court of Gujarat / gujarathighcourt.nic.in is conducting recruitment processes to fill 26 vacancies. As of now, there is one recruitment drive going on for Apply Online for 26 District Judge Posts. Gujarat High Court Recruitment 2019 - Apply Online for 26 District Judge Posts in Gujarat High Court, Ahmedabad, Sota, Gujarat. 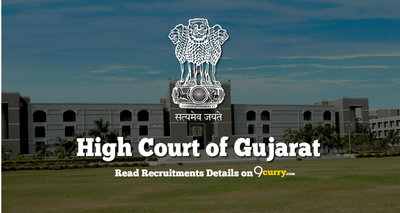 Online Applications are invited by High Court of Gujarat from 01 Apr 2019 at 12:00 PM to 30 Apr 2019 till 11:59 PM for 26 vacancies. 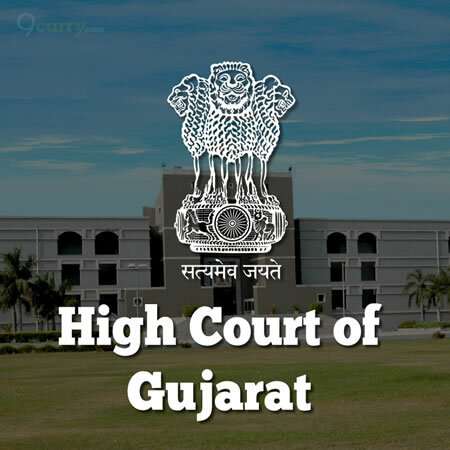 Gujarat High Court Recruitment 2019 - Apply Online for 124 Civil Judges Posts in Gujarat High Court, Gujarat. Online Applications are invited by High Court of Gujarat from 01 Feb 2019 to 01 Mar 2019 for 124 vacancies. Gujarat High Court Recruitment 2018 - Apply Online for 76 English & Gujarati Stenographers Grade II Posts in the Subordinate Courts of the State of Gujarat. Online Applications are invited by High Court of Gujarat from 17 Dec 2018 to 31 Dec 2018 11:59 PM for 76 vacancies. Gujarat High Court Recruitment 2018 -Apply Online for 15 Legal Assistant Posts in Gujarat High Court, Ahmedabad, Gujarat on Contract Basis. Online Applications are invited by High Court of Gujarat from 01 Dec 2018 12:00 PM to 15 Dec 2018 til 11:59 PM for 15 vacancies. Gujarat High Court Recruitment 2018 - Apply Online for 1149 Class IV Posts in Gujarat High Court, Gujarat. Online Applications are invited by High Court of Gujarat from 01 Nov 2018 at 12:00 PM to 30 Nov 2018 till 11:59 PM and Interview to be held on 17 Feb 2019 for 1149 vacancies. Gujarat High Court Recruitment 2018 - Apply Online for Assistant Librarian Post in Gujarat High Court, Gujarat, Ahmedabad. Online Applications are invited by High Court of Gujarat from 01 Oct 2018 12:00 PM to 15 Oct 2018 til 11:59 PM for 1 vacancy. Gujarat High Court Recruitment 2018 - Apply Online for 55 Peon Posts in Gujarat High Court, Gujarat. Online Applications are invited by High Court of Gujarat from 01 Sep 2018 at 12:00 PM to 30 Sep 2018 till 11:59 PM and Examination to be held on 16 Dec 2018 for 55 vacancies. Gujarat High Court Recruitment 2018 - Apply Online for 767 Assistant Posts in Gujarat High Court, Online Applications are invited by High Court of Gujarat from 15 Jun 2018 from 12:00 PM to 14 Jul 2018 til 11:09 PM for 767 vacancies. Gujarat High Court Recruitment 2018 - Apply Online for Private Secretary Posts in Gujarat High Court, Gujrat on Direct Recruitment. Online Applications are invited by High Court of Gujarat from 16 May 2018 to 31 May 2018 for 14 vacancies. Gujarat High Court Recruitment 2018 - Apply Online for 75 Civil Judges Posts in Gujarat High Court, Gujarat. Online Applications are invited by High Court of Gujarat from 07 May 2018 to 06 Jun 2018 11:59 PM for 75 vacancies.